The World We All Want book and DVD for just £10!! Today sees the launch of the brand new DVD for The World We All Want, presented by Tim Chester and Steve Timmis. 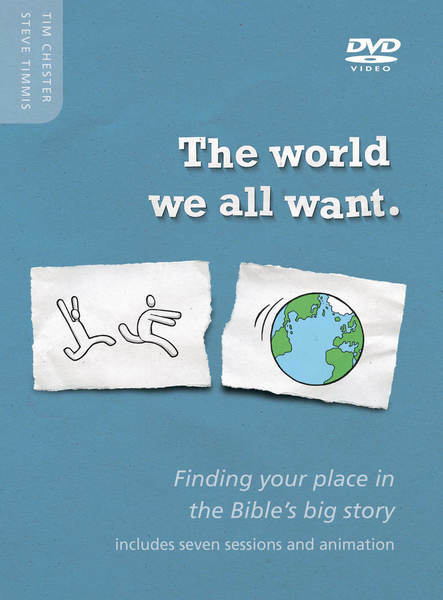 Tim and Steve developed The World We All Want as an outreach course that uses people's idea of the kind of world they would like to live in as a springboard for unpacking from the Bible the wonderful future that is offered to followers of Jesus. Starting in Revelation, going back to Genesis and stopping at various places in between, they show how the kind of world we all long for is exactly what is promised to those who live in relationship with our loving heavenly Father. The DVD is a great complement to the existing Handbook and Leader's Guide and will be particularly welcome for visual learners and perhaps those less used to studying the Bible. We're launching the DVD today for £12.74, but blog readers can pick up a copy of the DVD and Handbook for just £10 all in! Just use the code 'twwawdeal' at the checkout to get the deal. Offer expires Monday 26th May at midday. I'd love to purchase "The World We All Want" course, but I am currently based in South Africa. Is it possible to get the course sent out? 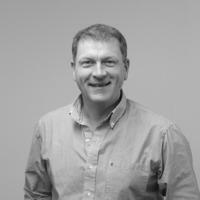 James' role as Commercial Director encompasses marketing, sales and customer service. Before joining TGBC he spent time in Chile and Japan teaching English before becoming a fundraiser for Great Ormond Street Hospital. He is the senior elder at Grace Church Worcester Park.